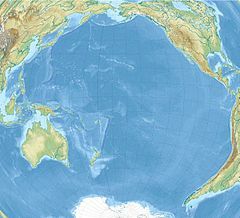 The island covers 2.1 km2 (0.81 sq mi), with 4.8 km (3.0 mi) of coastline. The climate is equatorial, with little rainfall, constant wind, and strong sunshine. The terrain is low-lying and sandy: a coral island surrounded by a narrow fringing reef with a depressed central area devoid of a lagoon with its highest point being 8 m (26 ft) above sea level. The island now forms the Baker Island National Wildlife Refuge and is an unincorporated and unorganized territory of the U.S. which vouches for its defense. It is visited annually by the U.S. Fish and Wildlife Service. For statistical purposes, Baker is grouped with the United States Minor Outlying Islands. Baker Island and Howland Island are also the last pieces of land that experience the New Year (earliest time zone - UTC−12:00). A cemetery and rubble from earlier settlements are located near the middle of the west coast, where the boat landing area is located. There are no ports or harbors, with anchorage prohibited offshore. The narrow fringing reef surrounding the island can be a maritime hazard, so there is a day beacon near the old village site. Baker's abandoned World War II runway, 5,463 ft (1,665 m) long, is completely covered with vegetation and is unserviceable. During a 1935–1942 colonization attempt, the island was most likely on Hawaii time, which was then 10.5 hours behind UTC. Since it is uninhabited the island's time zone is unspecified, but it lies within a nautical time zone 12 hours behind UTC (UTC−12:00). Baker was discovered in 1818 by Captain Elisha Folger of the Nantucket whaling ship Equator, who called the island "New Nantucket". In August 1825 Baker was sighted by Captain Obed Starbuck of the Loper, also a Nantucket whaler. The island is named for Michael Baker, who visited the island in 1834. Other references state that he visited in 1832, and again on August 14, 1839, in the whaler Gideon Howland, to bury an American seaman. Captain Baker claimed the island in 1855, then he sold his interest to a group who later formed the American Guano Company. The United States took possession of the island in 1857, claiming it under the Guano Islands Act of 1856. Its guano deposits were mined by the American Guano Company from 1859 to 1878. As an example of the scale of the guano mining and its destination the following ship movements were reported in late 1868. British ship Montebello, Capt Henderson, arrived Aug 17th 104 days from Liverpool, loaded 650 tons guano, departed for Liverpool 9th Sep.
American ship Eldorado, Capt Woodside, arrived Sept 14th from Honolulu, loaded 1550 tons guano, departed for Liverpool Oct 5th. British bark Florence Chipman, Capt Smith, arrived Oct 13th from Rio, loaded 1400 tons guano, departed for Liverpool Nov 5th. On February 27, 1869 the British ship Shaftsbury under Captain John Davies, which had arrived at Baker's Island on 5th February from Montevideo, was wrecked after being driven onto the reef by a sudden wind shift and squall from the northwest, dragging her moorings with her. American ship Robin Hood was destroyed by fire while loading on 30th August 1869. Settlers erected makeshift campsites on Baker Island during the American Equatorial Islands Colonization Project. On 7 December 1886, the American Guano Company sold all its rights to the British firm John T. Arundel and Company, which made the island its headquarters for guano digging operations in the Pacific from 1886 to 1891. Arundel applied in 1897 to the British Colonial Office for a licence to work the island on the presumption that the U.S. had abandoned their claim. The United Kingdom then considered Baker Island to be a British territory, although they never formally annexed it. The United States raised the question at the beginning of the 1920s and after some diplomatic exchanges, they launched in 1935 the American Equatorial Islands Colonization Project and issued on May 1936 Executive Order 7358 to clarify their sovereignty. This short-lived attempt at colonization, via the American Equatorial Islands Colonization Project, began when American colonists arrived aboard the USCGC Itasca, the same vessel that brought colonists to neighboring Howland Island, on April 3, 1935. They built a lighthouse and substantial dwellings, and they attempted to grow various plants. The settlement was named Meyerton, after Captain H.A. Meyer of the United States Army, who helped establish the camps in 1935. One sad-looking clump of coconut palms was jokingly called King-Doyle Park after two well-known citizens of Hawaii who visited on the Taney in 1938. This clump was the best on the island, planted near a water seep, but the dry climate and seabirds, eager for anything upon which to perch, did not give the trees or shrubs much of a chance to survive. King-Doyle Park was later adopted as a geographic name by the United States Geological Survey. Its population was four American civilians, all of whom were evacuated in 1942 after Japanese air and naval attacks. During World War II it was occupied by the U.S. military. Several varieties of shorebirds and other species inhabit the island and nearby waters, some considered endangered. The ruddy turnstone, bar-tailed godwit, sanderling and Pacific golden plover are considered species of least concern. The bristle-thighed curlew is considered vulnerable on the national conservation priority scheme. Green turtles and hawksbill turtles, both critically endangered, can be found along the reef. Public entry to the island is only by special use permit from the U.S. Fish and Wildlife Service and it is generally restricted to scientists and educators. Representatives from the agency visit the island on average once every two years, usually coordinating transportation with a NOAA vessel. Debris from past human occupation is scattered throughout the island and in offshore waters. Most is from the U.S. military occupation of the island from 1942 to 1946. The most noticeable remnant is the 5,400-by-150-foot (1,646 by 46 m) airstrip. It is completely overgrown with vegetation and unusable. In the northeast section, apparently the main camp area, are the remains of several buildings and heavy equipment. Five wooden antenna poles about 40 feet (12 m) in height remain standing in the camp. Debris from several crashed airplanes and large equipment such as bulldozers is scattered around the island. Numerous bulldozer excavations containing the remnants of metal, fuel and water drums are scattered about the north central portion and northern edge of the island. The Navy reported the loss of 11 landing craft in the surf during World War II. ^ a b c "United States Pacific Island Wildlife Refuges". The World Factbook. Central Intelligence Agency. Archived from the original on March 28, 2014. Retrieved April 25, 2014. ^ a b "Baker Island : History". U.S. Fish & Wildlife Service. Retrieved September 23, 2018. ^ Long, Elgen M.; Long, Marie K. (2000). Amelia Earhart: the mystery solved. Simon & Schuster. p. 206. Thursday, July 1,  ... Howland Island was using the 10+30 hour time zone—the same as Hawaii standard time. ^ "GAO/OGC-98-5 - U.S. Insular Areas: Application of the U.S. Constitution". U.S. Government Printing Office. November 7, 1997. Archived from the original on July 6, 2013. Retrieved March 23, 2013. ^ "The Guano Companies in Litigation--A Case of Interest to Stockholders". New York Times. May 3, 1865. Archived from the original on July 6, 2013. Retrieved March 23, 2013. ^ Edwin Horace Bryan (1941). 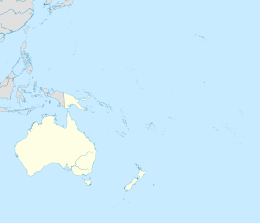 American Polynesia: coral islands of the Central Pacific. Honolulu, Hawaii: Tongg Publishing Company. ^ Hull, Cordell; Roosevelt, Franklin D. (1936). "Memorandum of Secretary of State Cordell Hull to the president, February 18, 1936". Hyde Park, N.Y.: Franklin D. Roosevelt Library. Archived from the original on January 9, 2010. Retrieved March 18, 2010. ^ "Baker Island". Any Travels. Archived from the original on July 23, 2011. Retrieved February 5, 2016. ^ Rottman, Gordon (2002). World War Two Pacific Island Guide. Greenwood Publishing. p. 332. ISBN 9780313313950. ^ Morison, Samuel (2001). History of United States Naval Operations in World War II: Aleutians, Gilberts and Marshalls, June 1942-April 1944. University of Illinois Press. p. 214. ISBN 9780252070372. ^ U.S. Dept. of Interior. Baker Island. Archived April 19, 2012, at the Wayback Machine Retrieved July 6, 2008. ^ "Redirect Page". www.fws.gov. Archived from the original on June 17, 2017. Retrieved April 29, 2018. ^ White, Susan (August 26, 2011). "Welcome to Baker Island National Wildlife Refuge". U.S. Fish and Wildlife Service. Archived from the original on March 27, 2012. Retrieved March 4, 2012. ^ Bush, George W. (January 6, 2009). "Establishment of the Pacific Remote Islands Marine National Monument: A Proclamation by the President of the United States of America". White House. Archived from the original on February 23, 2011. Retrieved March 4, 2012. ^ "Baker Island National Wildlife Refuge History". U.S. Fish and Wildlife Service. Archived from the original on May 28, 2013. Retrieved April 23, 2013. ^ Palawski, Donald (August 2007). "Baker Island National Wildlife Refuge: Draft Comprehensive Conservation Plan and Environmental Assessment §3.12" (PDF). U.S. Fish and Wildlife Service. Archived (PDF) from the original on July 19, 2012. Retrieved March 5, 2012. ^ "Baker Island National Wildlife Refuge". U.S. Fish and Wildlife Service. Archived from the original on May 16, 2013. Retrieved April 23, 2013. ^ "Baker Island National Wildlife Refuge: Draft Comprehensive Conservation Plan and Environmental Assessment" (PDF). Pacific Remote Islands National Wildlife Refuge Complex. August 2007. Archived (PDF) from the original on May 11, 2009. Retrieved December 3, 2010.